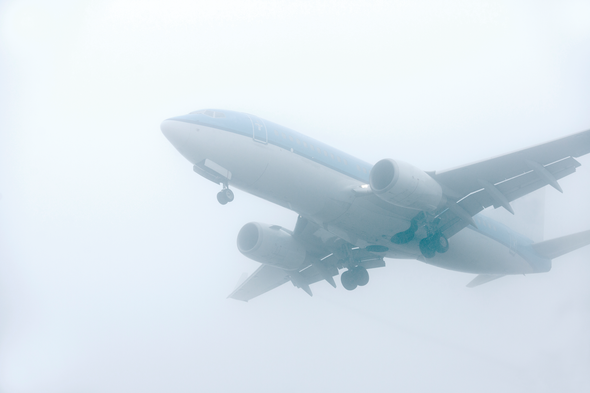 Fog often leads to serious, costly collisions and accidents—particularly around airports, piers and highways. Monitoring visibility conditions in real-time could improve public safety and save tens of millions of dollars in the transportation sector alone. But conventional fog-detection systems—including satellites, visibility sensors and human observations—can suffer from poor spatial resolution, high cost or low sensitivity near the ground, where monitoring is most critical. Now engineers Noam David and H. Oliver Gao, both then at Cornell University, have developed a way to use signal data from cell-phone towers to detect atmospheric conditions that are conducive to fog. Wireless communications data are transmitted within networks of antenna towers as microwave radiation. And weather affects the strength of signals received at the towers. Thus, cellular data offer a low-cost, continuous means of fog monitoring. David and Gao successfully employed this approach to predict fog in a swath of land around Tel Aviv, Israel, up to an hour before it appeared. They identified patterns in how microwave signals are modified in response to changes in temperature and humidity. In addition, based on how fog droplets attenuate the signals directly, the researchers showed they could detect fog at times when high-level clouds obscure satellite views. Unlike satellites, the method also distinguishes between ground-level fog and low-level clouds. The research was detailed in studies published in January in the Journal of Geophysical Research: Atmospheres and online in August in Natural Hazards. Cellular networks are deployed worldwide, which would make it easy to utilize this method in most regions. “In principle, we could already use existing infrastructure for day-to-day early detection of fog formation,” David says. “Because system data can be received in real time, we can imagine short-term early warning against fog.” He advocates rigorous testing in diverse parts of the world to probe the method’s limitations.